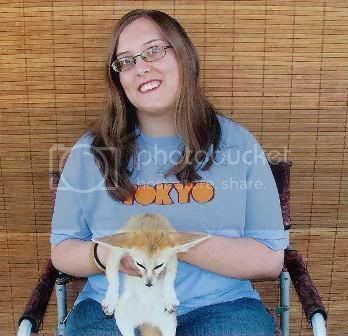 These are the pictures with that were taken of me at the fair with the animals. I got to hold a fennec fox named Phoebe, and an albino burmese python. I would have liked to have held her better, but this was the way that they made me hold her. She was soooooo soft and cute! I didn't get the snake's name, but it was pretty awesome. 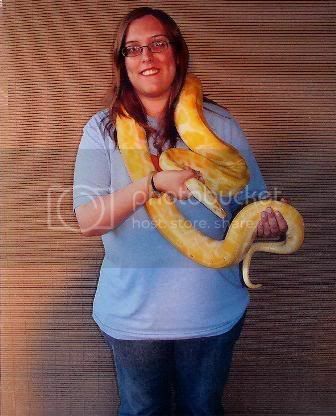 I don't like snakes, but I wanted to hold this one. When the guy went to put it on my shoulders he said it would be heavy because it weighed about 30 pounds, but I didn't think that it was very heavy. It was weird trying to hold the head firmly, but gently while it was trying to move. I didn't want to squeeze it too hard. But, anyways, it was fun and my family was shocked with the python picture.